I photographed this sculpture while I was in Jacksonville for the Neil DeGrasse Tyson lecture. 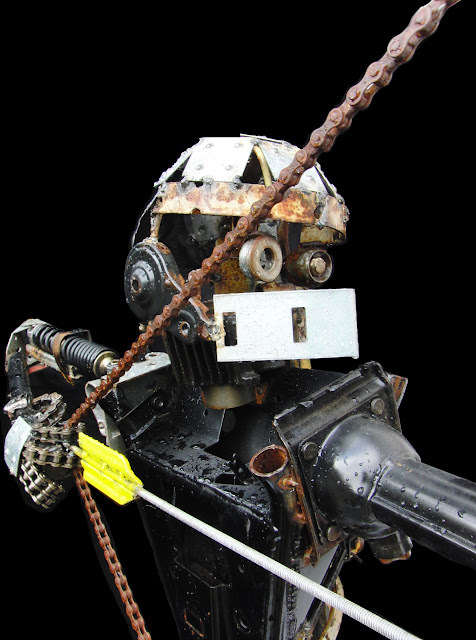 It is a life-size (about 6 feet tall) archer made of motorcycle parts and other assorted scrap material. I want to buy it. 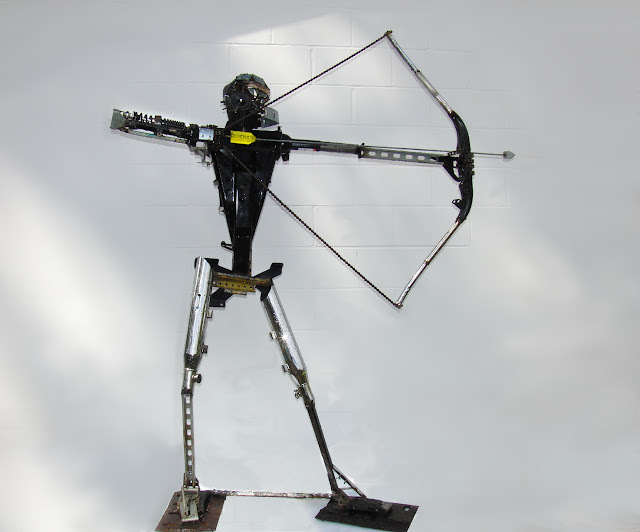 I would have him aiming up my driveway in a menacing fashion in an attempt to ward off the Jehovah's Witnesses. I need to raise about $2500 for this purchase. If I could sell ten photos for $250 each, or 500 t-shirts or have 2,500,000 people click ads on my blog. Gizmodo, big no-no. Bury it, don't skin it.